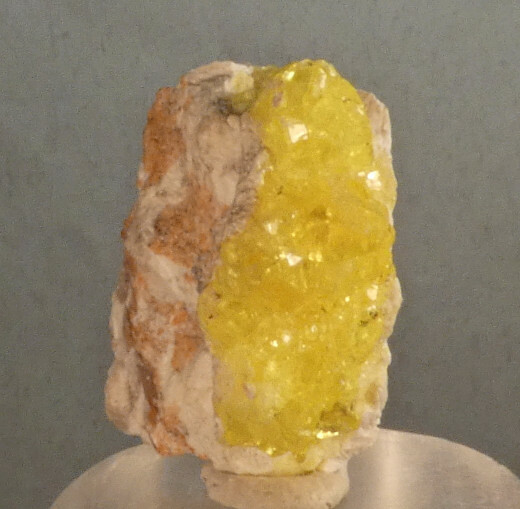 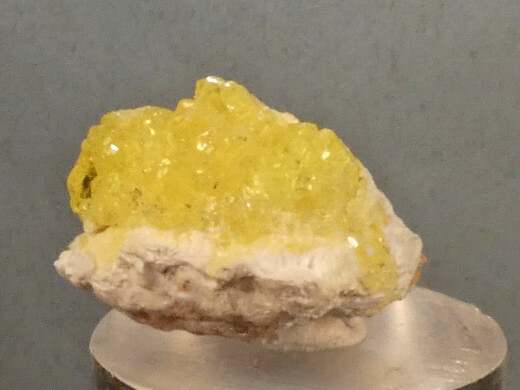 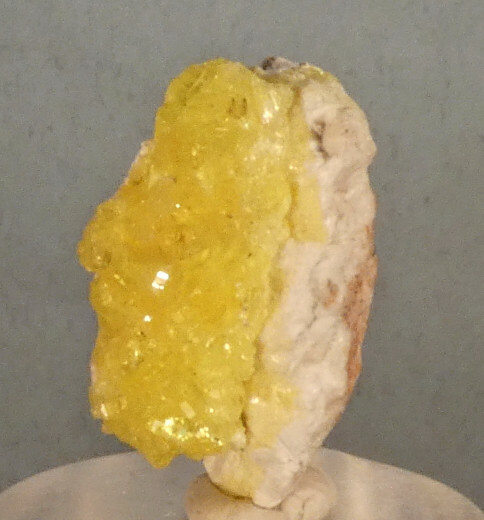 Bright yellow crystals of the rare sulfate jouravskite on a matrix of white xonotlite. 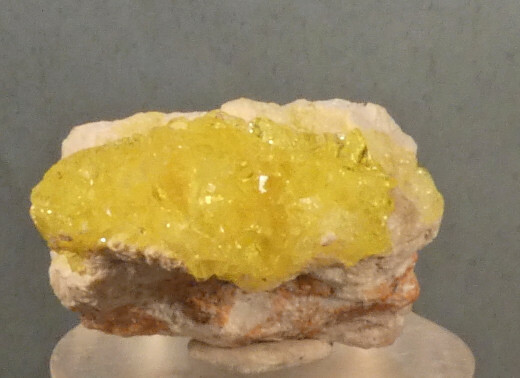 Prior to this December 2016 find, the mineral occurred mainly as crusts. 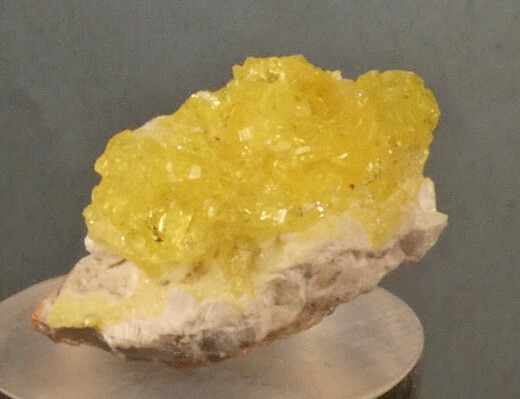 This occurrence has produced well defined beautiful crystals.